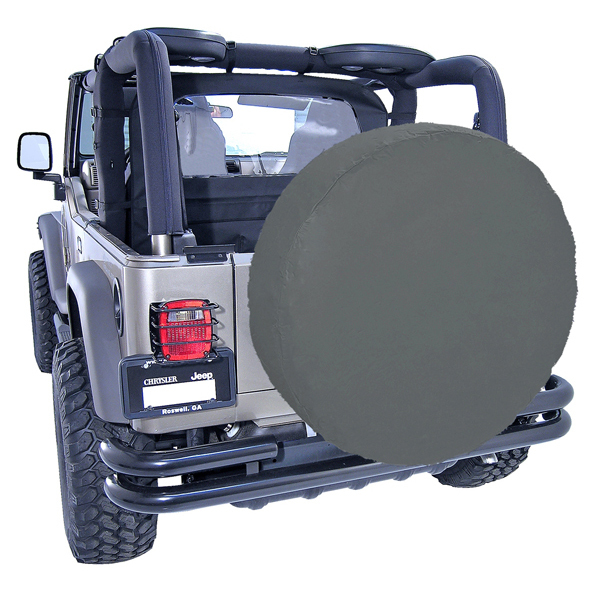 TIRE COVER, 36 INCH TIRE DIAMETER, DIAMOND BLACK - Jeep Parts Guy - All the Jeep Parts You Need! Custom designed to fit today's most popular sized tires. Constructed of durable vinyl coated polyester fabric. Colors match other Rugged Ridge Soft Accessories. Soft Accessories.